Applying for a bad car loan can be an unnerving experience, your finances are a very personal thing. We are senstivie to your needs as well as your credit history. At Davis Chevrolet GMC Buick we understand that bad things happen to good people. We treat all of our customers with the utmost sensitivity & respect. If you have had slow payments, been through a bankruptcy and discharged, have had a collections, judgements or a reposession; we are here to help you. We have serveral cars, trucks, vans and SUVs that could suite your needs and your budget. Give us a call today at (403) 948-6909 and we will process your application with minimum hassle and get you approved for leasing in a timely manner. Consumers in Airdrie trust Davis Chevrolet GMC Buick's LEASE HERE PAY HERE program due to our flexibility. 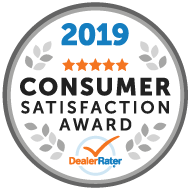 At Davis Chevrolet GMC Buick we work with our customers to meet their financial needs to get them into the vehicle that also meets their needs. We require minimum down payment of $1000 depending on the vehicle that is being purchased.